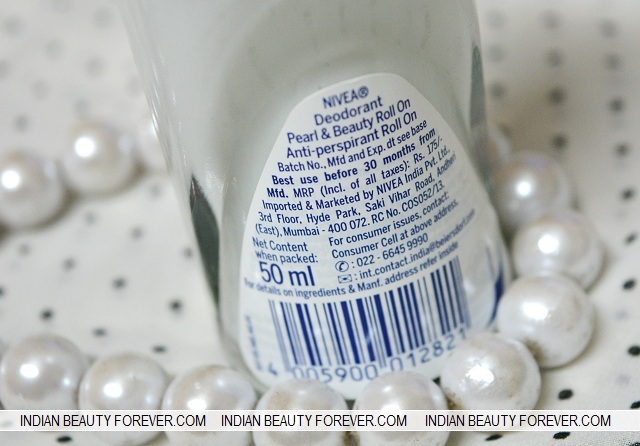 Nivea is known to make some good antiperspirant products like deodorants, rolls on etc and not to forget the wide range of body lotions, face wash and creams. 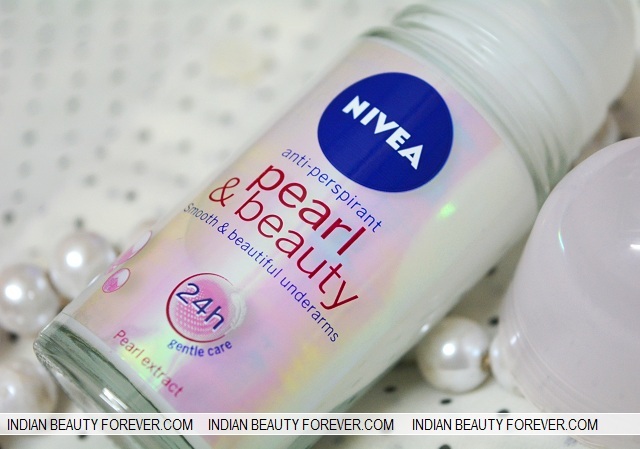 even after trying so many products from Nivea, this is one product that I have never tried from them as I am not a fan of Roll on deodorants but after using this I think they are kind of okay. Roll Ons are actually a lot milder than the other forms of deodorants. So, is it worth getting or just another product in the market. let's find out. 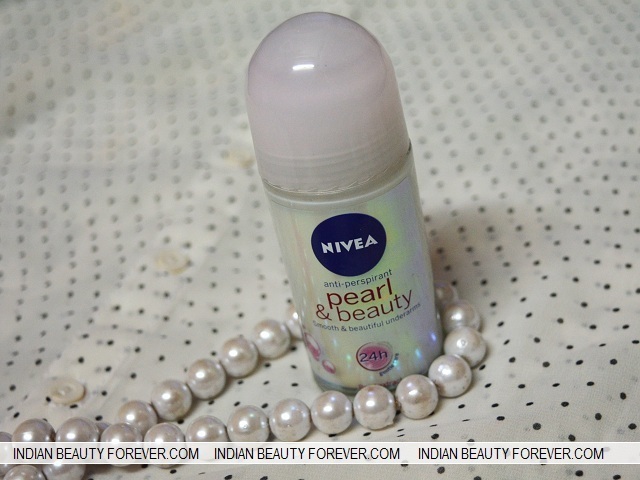 Nivea Pearl and Beauty Roll On comes with the regular scent of Nivea. The same scent that you may have come across with the Nivea cream and some other deodorants from Nivea. The deodorant has a roll on at the top of the glass bottle. The product is a milky white colored translucent thing with subtle smell. By the way, the glass bottle is quite heavy and I am afraid to use products with glass bottles as if they slip accidentally, they will be completely shattered. 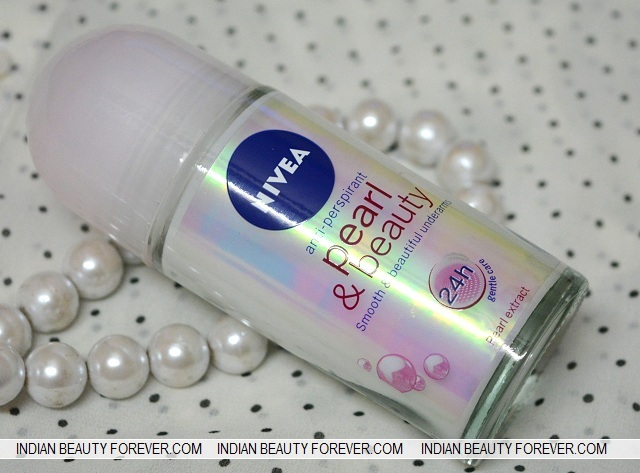 When I use this Nivea Pearl and Beauty Roll On, there is a wet feeling since it’s in a liquid form though isn’t sticky. The slimy liquid/wet feeling goes after a minute or 2 but honestly I really don’t like that. May be this is the reason why I don’t generally use roll on deos. It keeps the under arms fresh and decently controls the perspiration for 7-8 hours. The 48 hours claims is not true or would be for someone who sweats really less. For a normal person who sweat normally, 48 hours is too much to say. It will act just fine for the day which is 8 hours approximately. After which reapplication is needed. 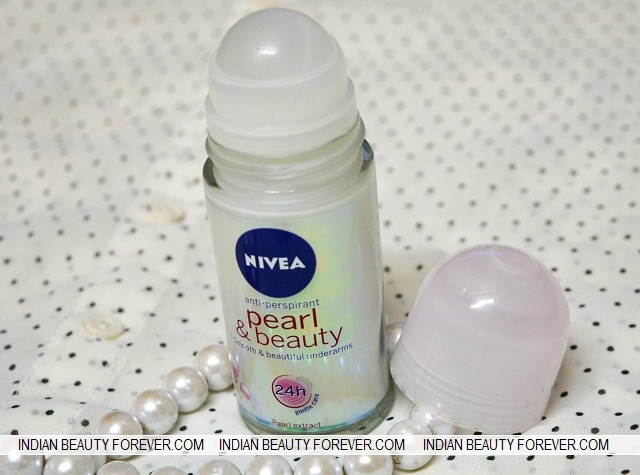 Take: Nivea Pearl and Beauty Roll On is a decent product though I don’t like the wet feeling that is there for the couple of minutes when I use this product though efficiency wise it is a decent product and good for those with sensitive skin on the underarms.